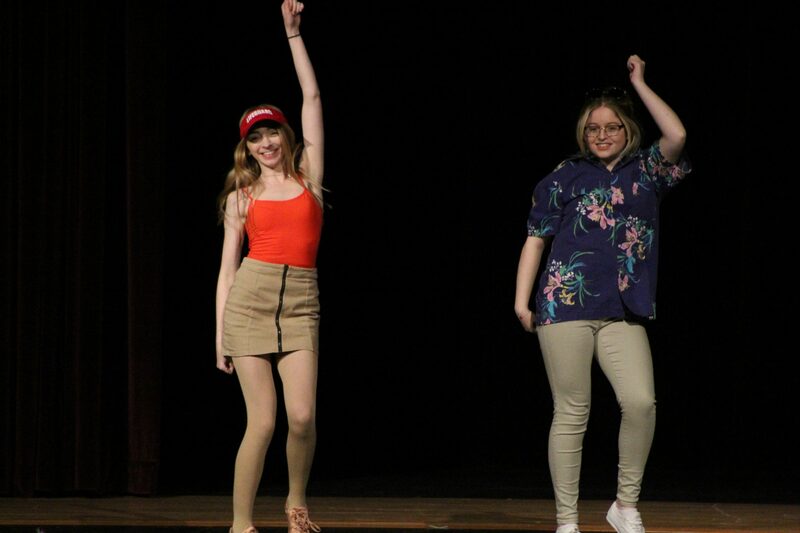 Brianna Groch, Ms. January, left, and Angelina Postorivo, Ms. October, right, joined the girls in an opening number featuring various Disney songs (Krystal Nurse/The Sun). Logan DeVerniero, Ms. February, left, and Ashley Moran, Ms. August, right, transported the audience briefly to the tropics in their portion of the opening number (Krystal Nurse/The Sun). 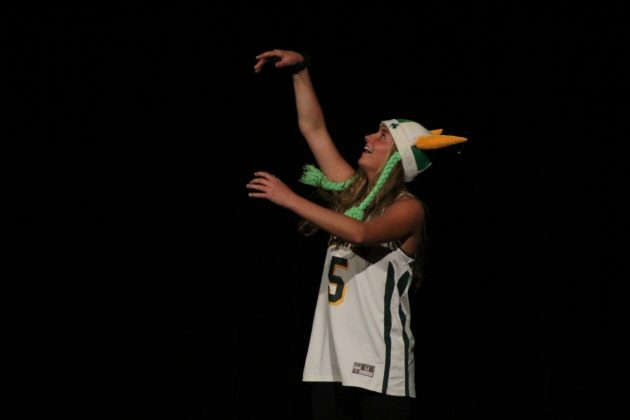 Rachel Hollywood paid an oath to her basketball career as her month, March, is introduced (Krystal Nurse/The Sun). 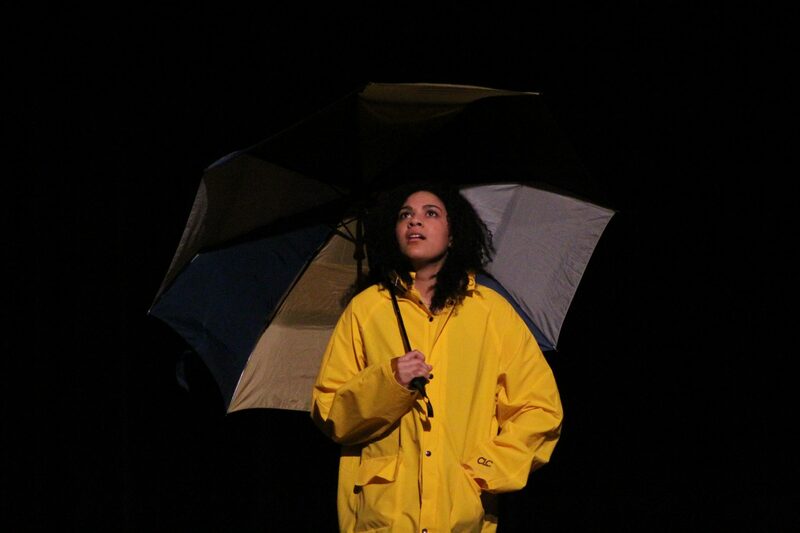 Rebekah Strauss, Ms. April, was introduced with a remix of “Singing in the Rain” (Krystal Nurse/The Sun). 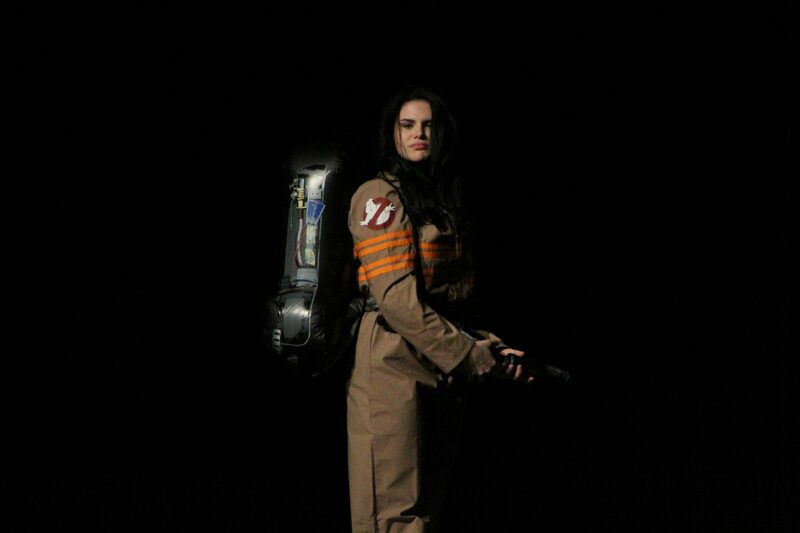 Angelina Postorivo, Ms. October, donned a Ghostbusters outfit for her month introduction (Krystal Nurse/The Sun). 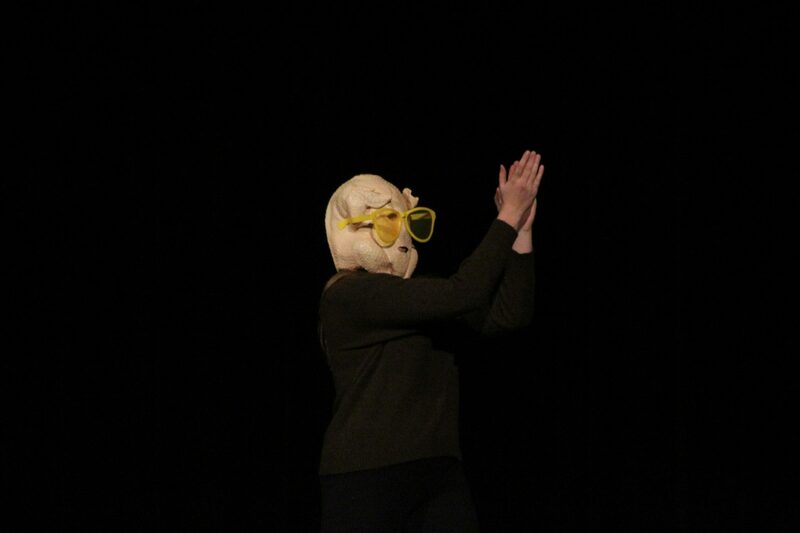 Gina Rucci, Ms. November, took a comedic approach to her month introduction with the “dancing turkey” scene from “F.R.I.E.N.D.S.” (Krystal Nurse/The Sun). Brianna Groch, Ms. January, held an on-stage Polynesian dance routine, showcasing the years of lessons she said she took in learning the dance (Krystal Nurse/The Sun). 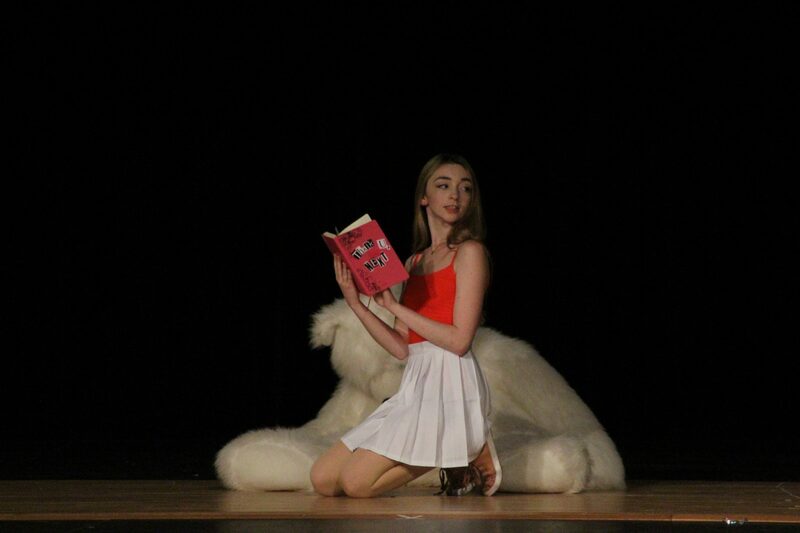 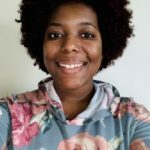 Logan DiVerniero, Ms. February, did a choreographed routine to the song “Thank U, Next” (Krystal Nurse/The Sun). 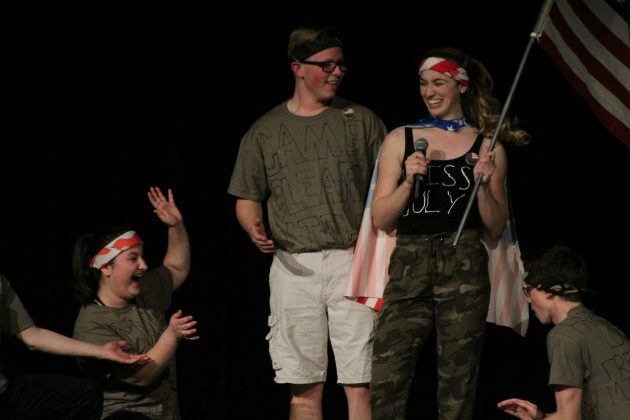 Julianna Smith, Ms. July, center, improvised a song and dance routine after technical difficulties caused music to cut out early (Krystal Nurse/The Sun). 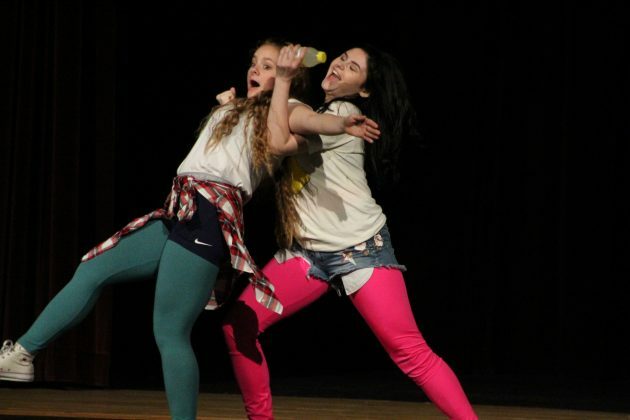 Angelina Postorivo, Ms. October, welcomed fellow students on stage to a break dance routine for her talent portion (Krystal Nurse/The Sun). 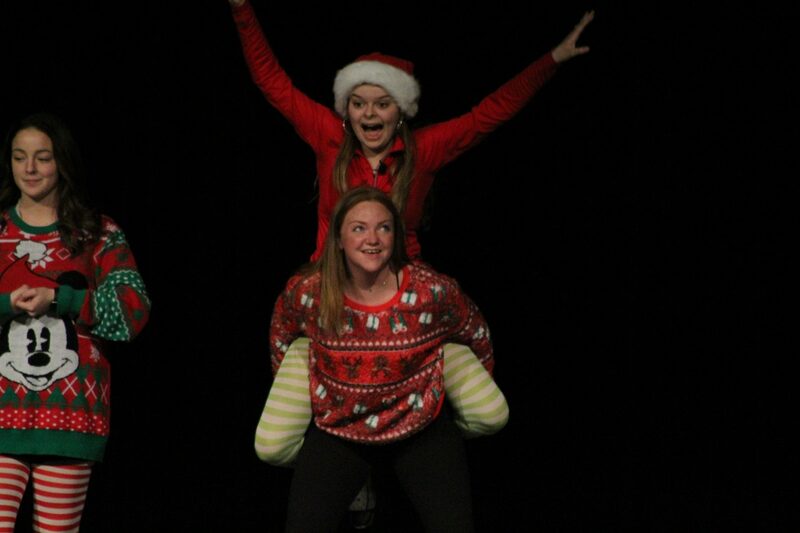 Celia Damminger, Ms. December, top, who was later crowned as the People’s Choice winner, performed a comical version of the “12 Days of Christmas” (Krystal Nurse/The Sun). 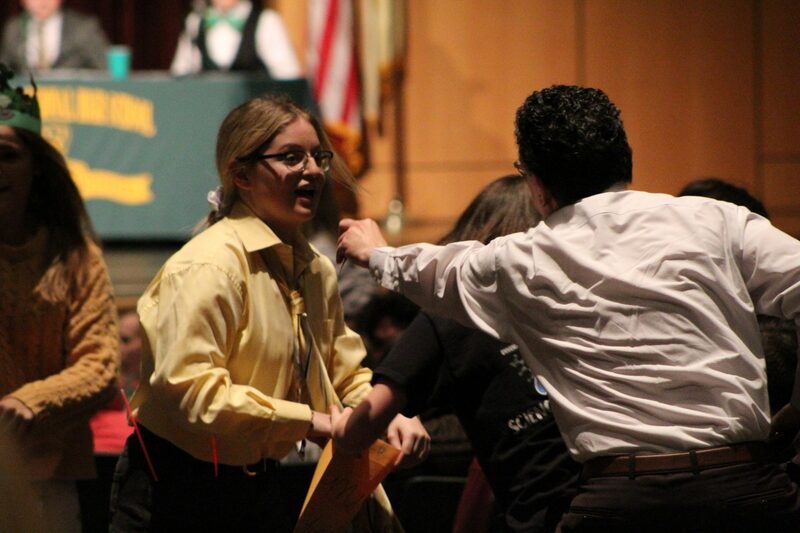 Ashley Moran is pictured collecting money form the audience during the Marathon Minute (Krystal Nurse/The Sun). 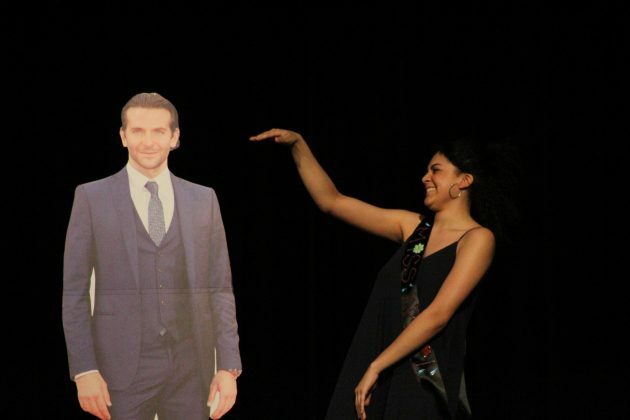 Rebekah Strauss brought on stage a cardboard cutout of Bradley Cooper for her formal wear (Krystal Nurse/The Sun). The 12 girls of Clearview pose at the end of their final number before winners are announced (Krystal Nurse/The Sun). Celia Damminger, Ms. December, is pictured being given a sash from Christina Boody, advisor, as the People’s Choice winner (Krystal Nurse/The Sun). 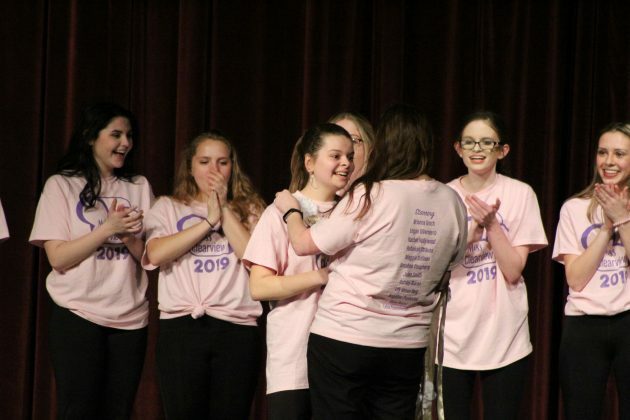 From left: Ms. Clearview 2019 Gina Rucci, first runner up Maggie Sullian and People’s Choice winner Celia Damminger (Krystal Nurse/The Sun). 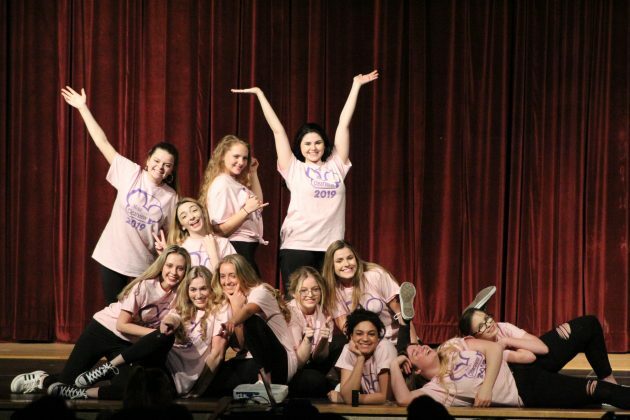 Twelve seniors from Clearview Regional High School competed on April 4 for the highly sought after title of Ms. Clearview and to donate money to a local family in need. 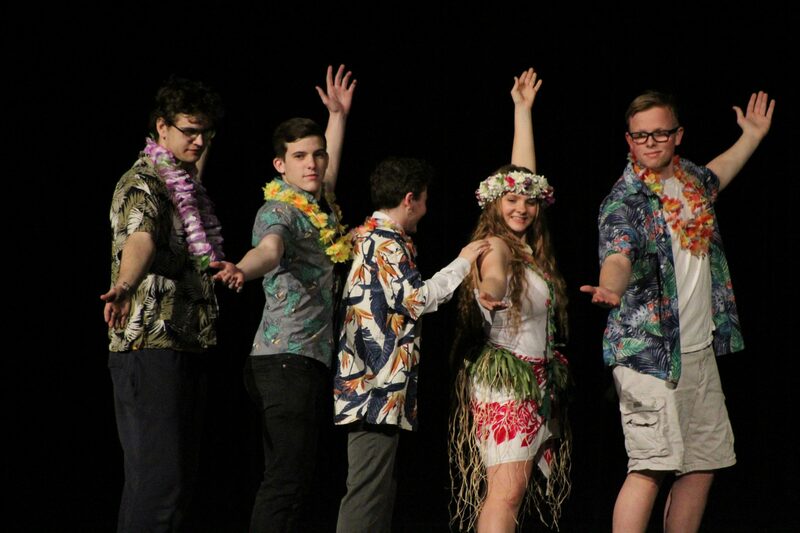 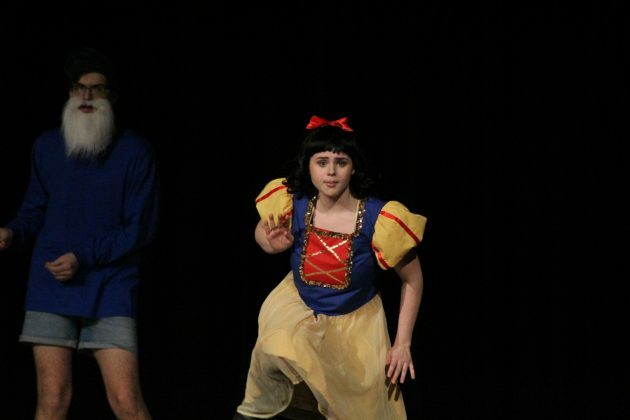 The girls danced, had comedic routines, poked fun at teachers and showcased their best outfits. 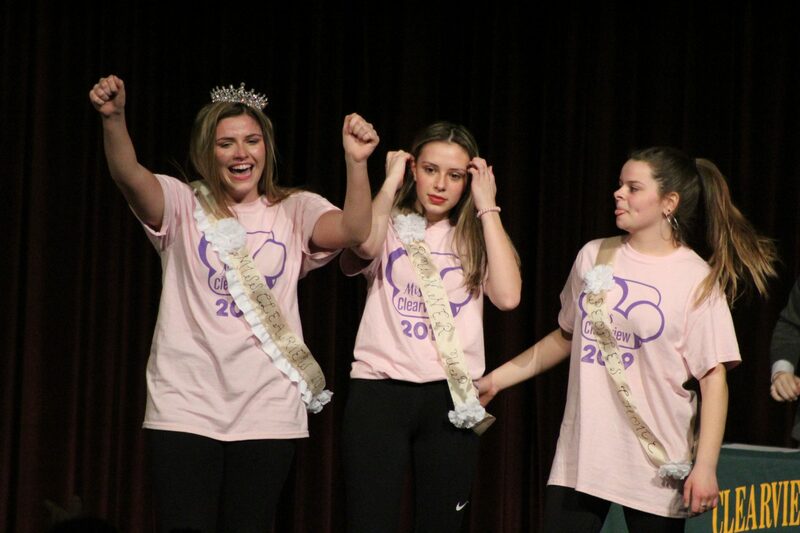 Senior Gina Rucci, Ms. November, was crowned as Ms. Clearview and Celia Damminger, Ms. December, was decleared the People’s Choice winner.